Yoga Therapy mines the entire science of Yoga as written about in the Yoga Sutras for tangible practices that bringing health and healing to issues that confront us in modern life. The vast, ancient teachings of Yoga hold answers to the big and the small problems we encounter. People undertake Yoga Therapy to feel less stress, more emotional balance, to calm their minds, rehabilitate their bodies and become reacquainted with their soul Self. Whatever you are going through, Yoga Therapy can help you effect positive change and give you tools to expand your physical and emotional vibrancy and well being. There are THREE general categories of Yoga Therapy, although they all interrelate. The first type is similar to physical therapy – using basic movements (called asanas) to rehabilitate injury, moderate chronic pain or regain vital energy. There are innumerable scientific studies today that show evidence based research on Yoga’s physical benefits. Another aspect of Yoga Therapy is similar to psychotherapy – using mental and emotional Yoga practices to deal with change, loss, indecision and other internal struggles. This correlates to psycho-neuroimmunology, a branch of psychology that studies the interaction between the nervous, endocrine and immune systems, and explains some of the subtleties of psychosomatic medicine and how the body reflects our internal state of thought and feeling. The application of Yogic techniques to affect specific changes in vital functions of the body’s organs and systems allows the individual to shift from unconscious response and to a chosen response in tense circumstances. An example would be using a balancing breath exercise to ‘reset’ the parasympathetic nervous system’s ‘fight or flight’ response, thereby helping the person to combat anxiety or panic attacks. Of course it is impossible to separate the physical and mental parts of ourselves as we are integrated beings, so these first two categories of Yoga Therapy blend together. Many physical issues are symptomatic of deeper underlying issues trying to get our attention. Our bodies are storage depots for all the things we have experienced and felt over the course of our lives. Our ‘biography becomes our biology’ as they say. From small discomforts to chronic pain, the body calls us to awakening, to look inward to feelings from the past which keep us from full capacity living in the present. When the body’s natural wisdom is accessed through Yoga Therapy, emotional release occurs and healing begins at a deeper level than just the physical. 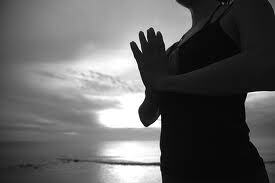 The final and most important aspect to Yoga Therapy addresses the spiritual component of our nature. Classical sacred texts of all spiritual paths and religions acknowledge that human beings have a divine energy within and, most of the problems in our life stem from a state of ignorance of who and what we are. Most Eastern forms of medicine attribute illness to the energy blockage that occurs when we live in this state of un-knowing. By promoting the flow of prana, or vital life force energy, Yoga eliminates energetic blockages, restoring one’s natural health. By offering tools to gain true Self-knowledge, Yoga provides an opportunity to become acquainted with our inner spirit and therefore engage change at a much more profound level. Relaxation techniques that promote calmness and stability through introspection combined with meditation that leads us to transcendence, can significantly reduce the overstimulation of the mind which causes so many people psychological burnout in one form or another. Does someone have to practice Yoga or be flexible to do this? Absolutely not. The practices of Yoga Therapy can meet you where you are today. For some this is through movement, but for many others it is through internal inquiry, reflection, and meditation. Abundant scientific studies now show the benefits of Yoga Therapy to counter trauma, long term stress, attention issues, depression, anxiety and challenging relationship dynamics. Whether you are 8 or 88, by discovering connections between your body issues or chronic tension patterns and your long held limiting beliefs or emotional attachments, a whole new world of freedom opens up. Yoga Therapy helps you identify and then release physical, mental, and energetic blocks, and reclaim your abundant life force energy. What do you actually do in a Yoga Therapy session? After initial assessment is made of a client’s needs and challenges, the therapist employs a wide range of mind/body practices, from postural and breathing exercises to deep relaxation and meditation. Most Yoga Therapists draw from a variety of styles and branches of Yoga, to create personalized practices (sadhana) that address the presenting condition, taking into consideration the client’s level of current physical ability for the order and number of practices and integration into their lifestyle. Yoga therapy tailors these to the capacities of the individual. By adapting Yoga techniques and practices to help individuals facing health challenges on any level, clients learn to manage their condition, reduce symptoms, restore balance, increase strength, and improve attitude and expand their field of awareness. Yoga Therapy is a wonderful healing modality for anyone who wants to truly integrate how they feel inside their body, with emotional freedom, and deep soul connection. Individual Counseling in Yoga Therapy is available with Jennie via Skype, phone or in person.